The answer is simple, the application not so easy. Do you enjoy books that make you want to laugh, cry or throw things? Maybe, you prefer a story that gets your motor running. Or a Steven King type horror book after which sleep is never gonna happen. If we enjoy these gut-reactions books, so do our readers. But the question is how to grab a reader and twist until they laugh or scream. Thanks to Lisa Hall Wilson for a terrific post on how to do just that. Make our readers feel something visceral, something real. According to Lisa, a story needs 3 things to elicit feeling in a reader. A reaction that catapults us without thought. We all have a trigger that makes us react, starts the waterworks, makes us want to scream, run or fills us with shame. A fictional character is no different. Find that emotional trigger in your character. Specific sensory details and descriptions ratchet up the tension. Don’t skimp on details that will pull your reader deeper into a story. Choose wisely which incidents to describe in detail, don’t bore reader. Sensory means relating to sensation or the physical senses; transmitted or perceived by the senses. Adding enough details that a reader can relate to will paint a picture. Although your character is fictional, how they act must ring true. The reader should be able to understand the reactions. The reader doesn’t have to agree with the characters actions but does need to understand why. Means: real or genuine, not copied or false, true and accurate, made to be or look just like an original. Knowing a character in depth and relaying that info on the written page isn’t easy. Dig deep and help the reader understand the why. Click and read her entire post and find the truth within your fiction. Do you have a tip for invoking emotion in a reader? How do you handle truth in fiction? Did you find anything helpful in Lisa’s post? What? Click on the image and read an excerpt of Lisa’s book. Next Do you know how to elicit emotions in the reader? I have always been terrible at telling jokes and this carries through to writing something comical. I have no problem writing something emotional that will bring tears. I never thought about using those same techniques with humor. Thanks for the tip. Me too. My jokes always fall flat. 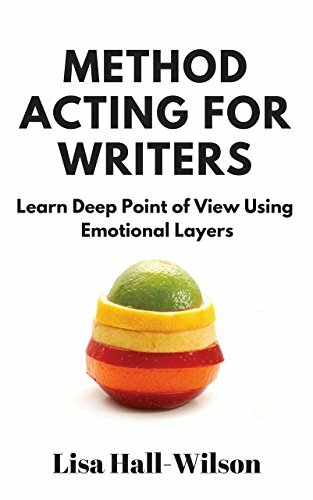 But writing deep emotional scenes is even harder. As a strong southern woman, I was ridiculed for showing too much emotion. Sigh, guess all writers have hurdles to over come.